If you’re like me, you’re doing a lot of cooking and shopping over the holidays. But there is one item that you’re just not going to find anywhere, much less on sale. 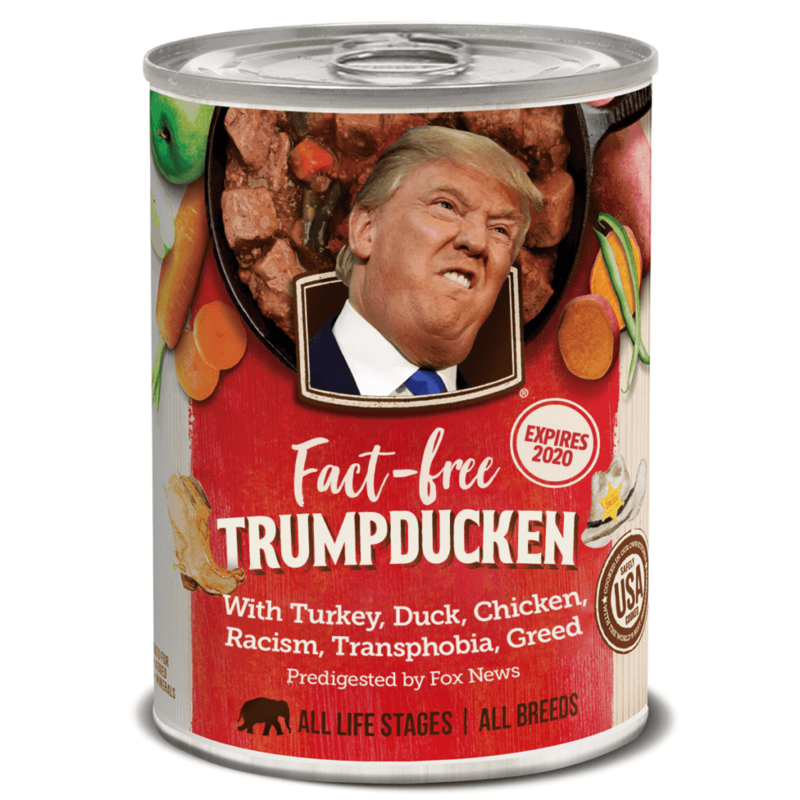 What is a Trumpducken, you ask? A lie wrapped in a blunder wrapped in propaganda? Our democracy in a flaming trash can, sprayed with Trump-branded hair product? George Papadopoulos stuffed into Roger Stone stuffed into Paul Manafort? Paul Ryan stuffed into Mitch McConnell stuffed into Donald Trump? Mike Pence stuffing a Border Wall through a lame-duck Congress for our Gobbler In Chief? Let your imagination fly, even if this bird can’t: the possibilities are endless. But folks, no matter how you cut it, the truth is this turkey is already cooked. Our midterm victory is real, and hard-won. We just gained nearly 40 seats in Congress, expanded Medicaid in deep-red states like Idaho and broke GOP supermajorities in others, like North Carolina. This people’s wave extends way past Washington: we’ve elected hundreds of fearless champions to our state houses, governor’s mansions, and Attorney General’s offices across the nation. At People’s Action, we’re not resting on our laurels. Together with our grassroots partners across the country, we’re already hard at work preparing for state legislative fights this spring to win Health Care for All, a Green New Deal that is 100 Percent Just, Free College for All, a national home guarantee, voting rights, racial and gender justice, and so much more. Make no mistake: the stakes have never been higher. The nation’s top environmental scientists just warned that climate change is costing us billions and threatens the health and safety of every one of us if we don’t change our priorities now. Millions don’t have access to the health care they need. Farmers are being forced to plow their crops into the ground because of Trump’s trade war, while Big Ag gets billions in subsidies. Everyone except the top one percent is paying more so the nation’s richest individuals and corporations can take home $1.3 trillion in tax cuts. Think of how many schools, clinics and green jobs that kind of money can create. And as the GOP’s victories in Florida and Georgia attest, we’re not yet out of the long, dark night of Republican gerrymandering, voter intimidation and suppression, even if we can see light at the end of the tunnel, thanks to a reinvigorated movement for voting rights. As we have learned together over the past two years, resistance is priceless. At People’s Action, we know real change only comes when we talk to one another about our true values, and the kind of country we can create if we work together. This fight for hearts and minds takes time, but the fate of our country and the world depends on it – so we’re doubling down. Democracy isn’t a big-box sale, so we can’t really promise 50 percent off volunteer doorknocking, phone calls and text to activate everyone who gave their time and energy to win the midterms. But what we can promise is that we’ll give 100 percent to this fight, and not just over the next two years. At People’s Action, we’re all in. James Mumm is chief innovation officer for People's Action, a national network of grassroots groups dedicated to putting people and planet first.